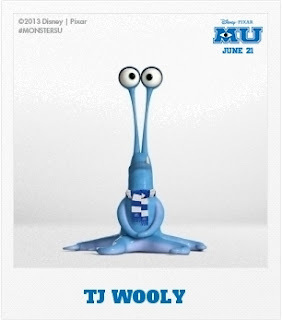 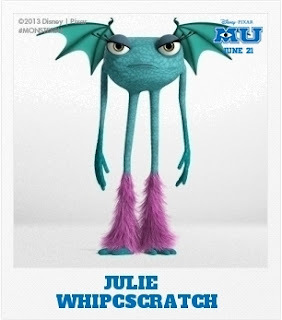 The release of Monsters University is only one month away (June 21) and today Disney.com released a fun application on their website allowing guests to create their own Monster persona - with the Create-A-Monster generator. This fun customizable monster creator allows you to add horns, wings and Monsters University gear onto your monster. 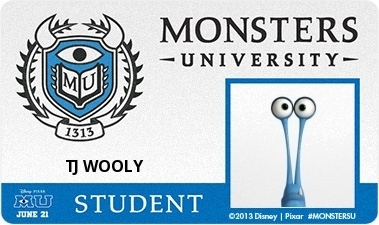 Once you have completed your design the final step is to generate your monster name and download your own Monsters University ID card! Below are our Monsters University ID cards and full size custom monster creations that we customized. 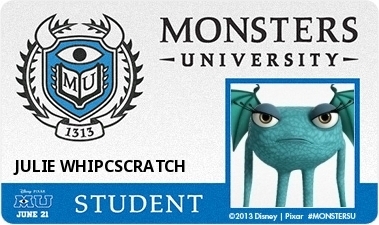 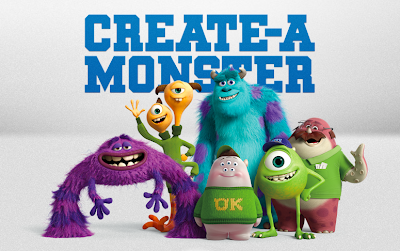 Be sure to visit Disney's site by clicking here to create your own Monsters University monster persona!